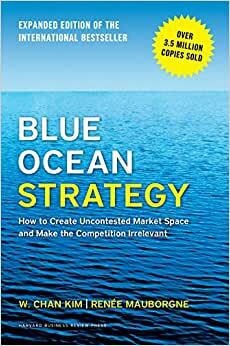 Start reading Blue Ocean Strategy, Expanded Edition on your Kindle in under a minute. W. Chan Kim and Renée Mauborgne are Professors of Strategy at INSEAD and Codirectors of the INSEAD Blue Ocean Strategy Institute. They are the authors of Blue Ocean Strategy, which is recognized as one of the most iconic and impactful strategy books ever written. Blue Ocean Strategy has sold over 3.6 million copies, is being published in a record-breaking 44 languages, and is a bestseller across five continents. Kim and Mauborgne rank in the top 3 management gurus in the world in The Thinkers50 list and are the recipients of numerous academic and management awards around the world including the Nobels Colloquia Prize for Leadership on Business and Economic Thinking, the Carl S. Sloane Award by the Association of Management Consulting Firms, the Leadership Hall of Fame by Fast Company, and the Eldridge Haynes Prize by the Academy of International Business among others. Kim is an advisor to several countries and Mauborgne served as a member of President Barack Obamas Board of Advisors on Historically Black Colleges and Universities for the Presidents two terms. A well constructed idea - very complete. Best piece on marketing strategy-making since Adam Morgan and Seth Godin. Builds well on Ries & Trout [Von Clauswitz & Sun Tsu].